Join us at Canad Inns Transcona (826 Regent Ave. W) from 5:00 pm – 8:30 pm on Sunday, May 12. 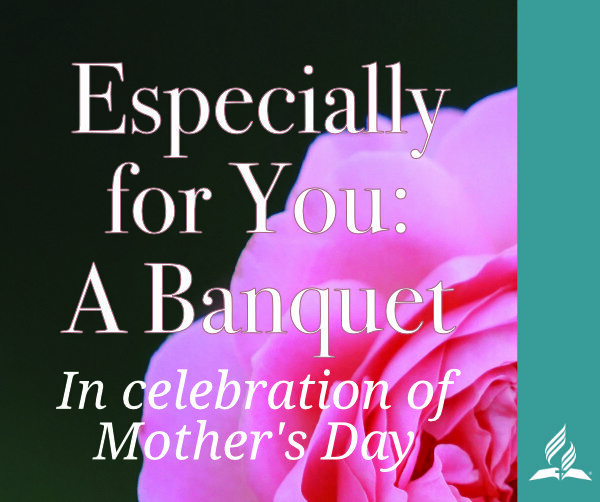 We have ‘Especially for You: A Banquet’ in celebration of Mother’s Day. Spend time honoring the special ladies in your life. Whether you call her Sister, Aunt, Mom, Grandmother or more, why not treat them to an evening out. There will be entertainment, prizes, a delicious meal, and lots of fun. Purchase your tickets today, before the event sells out. Payment is accepted by cash, cheque (payable to ‘SDA Church’) or e-transfer to event organizer, Joyce Odidison [joyceod2 ‘at’ gmail. com] (please use proper email format). Select your preference for vegan or chicken entrée options and a dessert (Children’s meals are also available in both options).